In Minding the Metro we recap how the Columbus Blue Jackets divisional foes fared and how it affects the Jackets spot in the standings. The Columbus Blue Jackets find themselves backed tied for second in the Metropolitan Division due to the stumbling of the Pittsburgh Penguins. While the Rangers and Capitals remain scorching hot, the top of the division is separating itself from the bottom, wild card chasing teams. Here is this week’s Minding the Metro. This week wasn’t exactly an ideal week for the Carolina Hurricanes. If it wasn’t clear at the beginning of the week, it became very apparent the Canes are going to be golfing early. 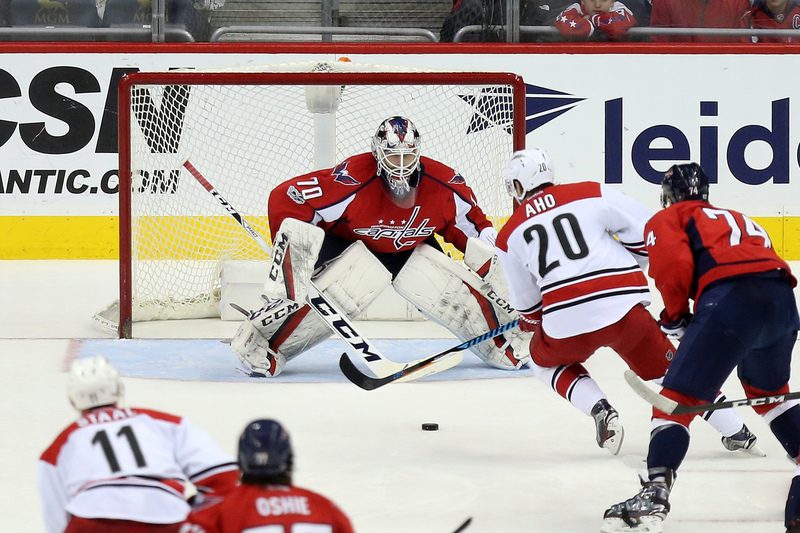 In only two games this week, Carolina was outscored 10-2 and lost to the Washington Capitals and Dallas Stars. Rookie Sebastian Aho continued his impressive campaign with a goal against the Stars. Carolina sits in last place in the Metro with 55 points and are on their bye week until Friday. Read more at Cardiac Cane. New Jersey had a quite week with their bye week coming in between two uneventful games. 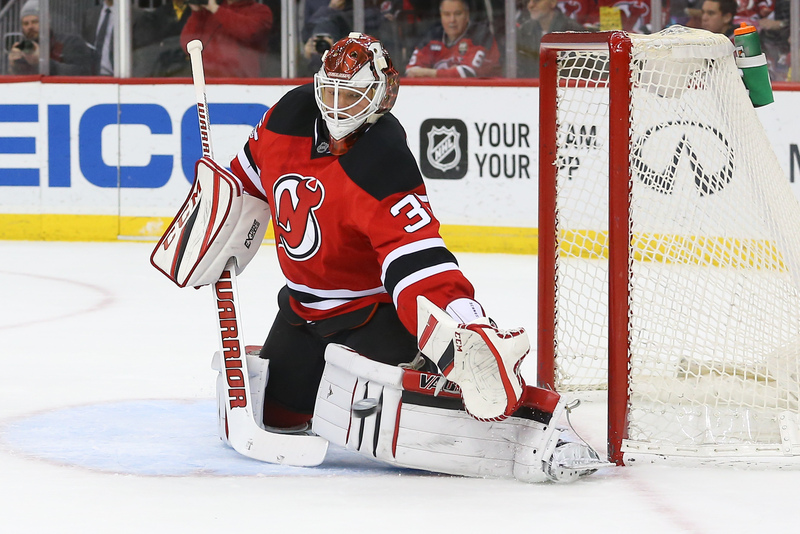 On Monday the Devils beat the Buffalo Sabres 2-1 and then lost on Sunday to the Sharks 4-1. Corey Schneider played very well posting a .933 save percentage over the two games. Too bad the Devils offense couldn’t provide any support. The Devils sit only a point above the Hurricanes, have played two more games, and are through their bye week. By points percentage the Devils sit in last place in the Metro and are almost virtually eliminated from the playoffs. Read more at Pucks and Pitchforks. How smart of a move was the Capuano firing? 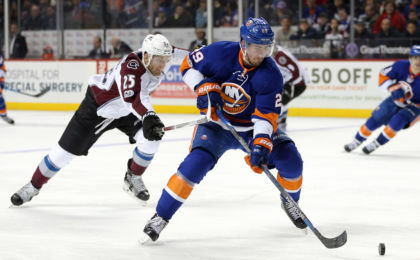 Doug Weight has the Islanders punching above theirs as they won three of four games last week. 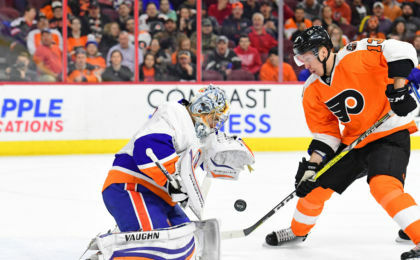 Amidst rumors of the team leaving Barclays, the team captured a 6-5 OT win against Toronto, a 3-1 in Philadelphia and a blasting of the lowly Avalanche at home. 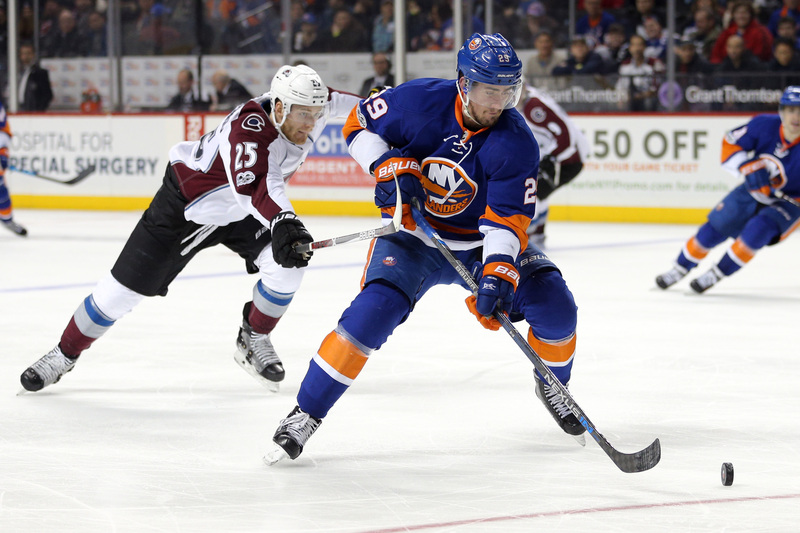 After racking up six out of eight possible points last week the Islanders seem alive in the crowded race for the last wild card spot. The Islanders are only one point back of the 8th playoff spot with 60 points and games in hand on all the teams they are chasing. They sit 15 points behind the Columbus Blue Jackets. Read more at Eyes on Isles. Hot, Hot, Hot. The Rangers have won five straight games, including three last week. All of the Rangers games were against Western Conference opponents. 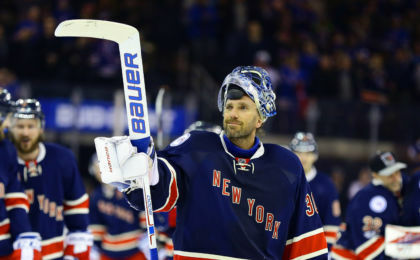 The week included Henrik Lundqvist winning his 400th career NHL Game. Congrats to The King. 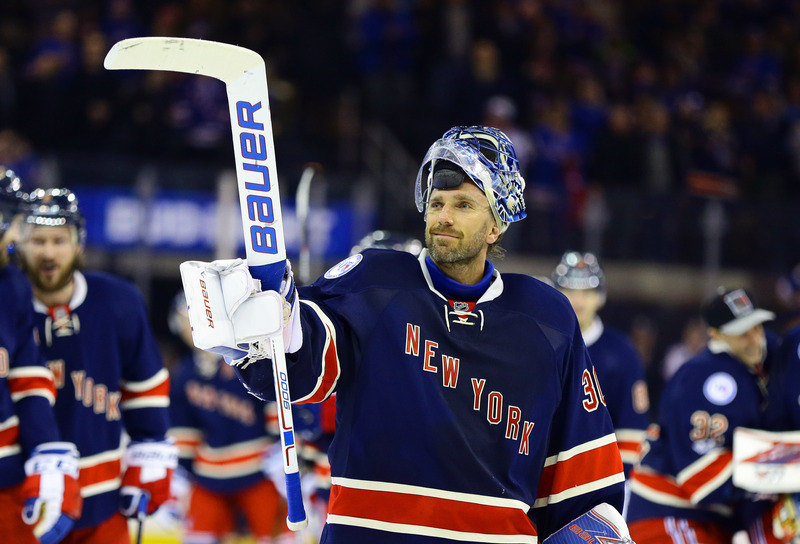 The Rangers currently sit two points behind the Columbus Blue Jackets and could tie them following Monday’s match up. Read more at Blue Line Station. 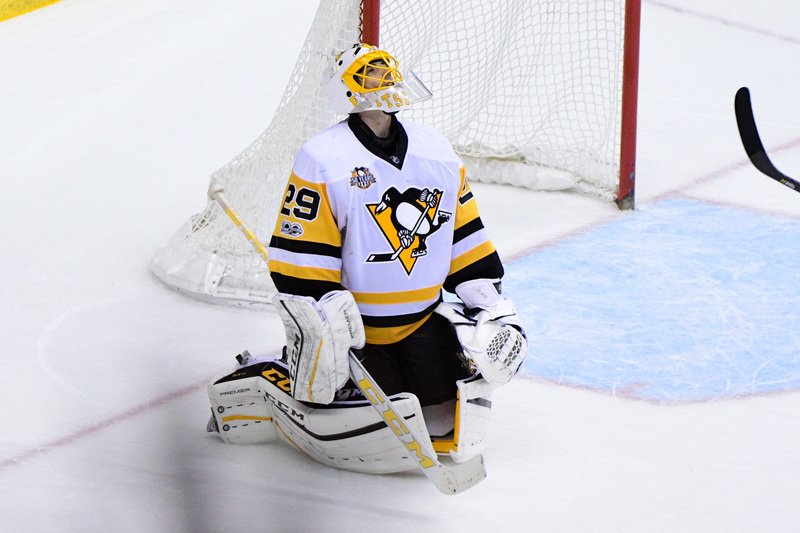 The Pens had a less than ideal week as they faced off against three Western Conference teams, including the leagues two worst teams in Arizona and Colorado. An shootout loss at home to Calgary was followed by a win at Colorado and an overtime loss in the desert. Although four of six points is nothing to scoff at, surely the Pens expected better out of such weak opponents. The disappointing week allowed the Jackets to pull back to a tie for second in the Metro with the Penguins. Four games populate the schedule for the Pens including a visit to Columbus on Friday. Read more at Pens Labyrinth. 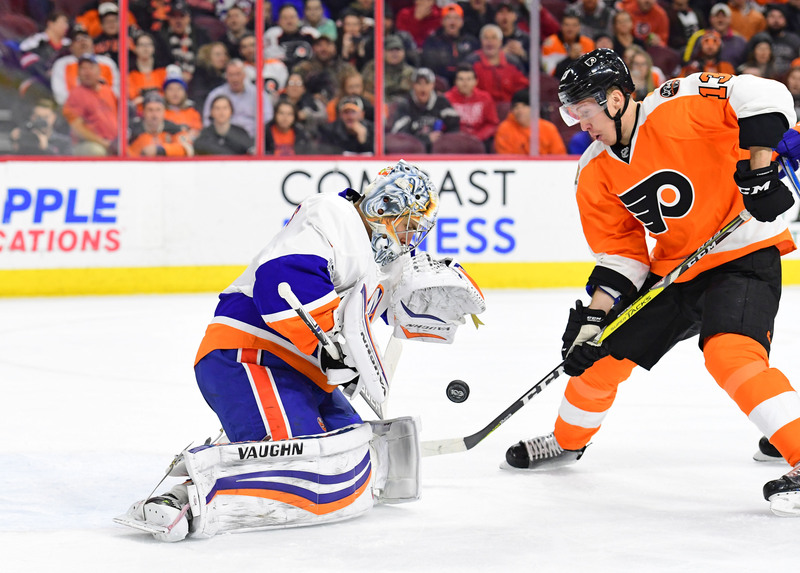 The loose grip the Flyers had on the last wild card spot was lost as the flyers went 1-2-0 this week. Toronto now is in the final wild card spot, but only by a tie breaker. A disappointing week with losses to the Islanders and Blues was capped by an overtime win agains San Jose. Philadelphia will be an interesting team to watch at the deadline. They are well out of position to pose a threat to the Blue Jackets in the division race, but could steal the last wild card spot. The Flyers start their Western Canada trip on Wednesday at Calgary. Read more at Broad Street Buzz. If the Rangers are hot, then the Capitals are molten lava. 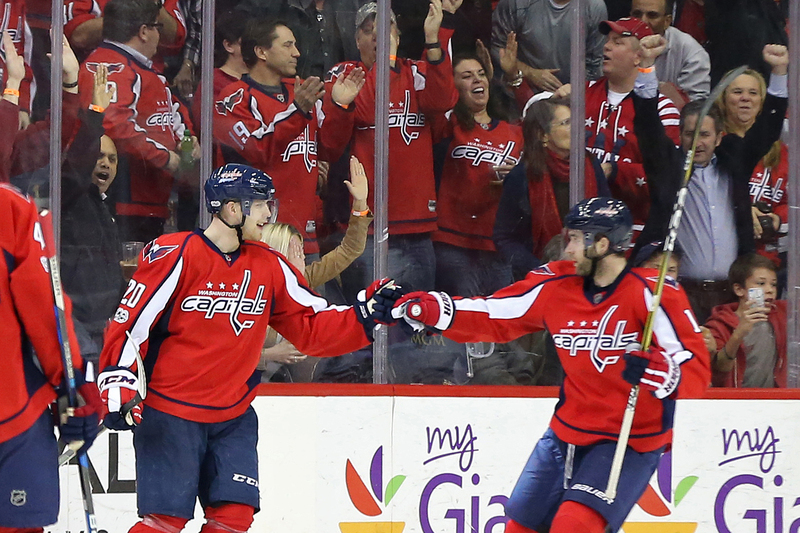 We can safely assume that no one is going to catch the Capitals for the rest of the year. 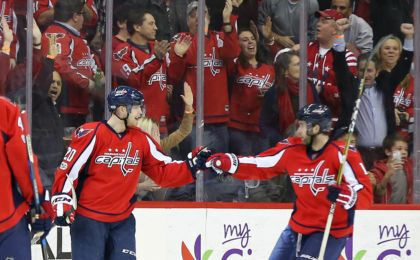 The Caps won all of their three games last week including a 5-0 smashing of Carolina. Give Braden Holtby the Vezina now. The Caps, like the Canes, are on their bye week until Saturday. With a nine point advantage over the Blue Jackets, they will be tough to catch. Washington will only face Metro opponents eight more times this season, including two against Columbus. Read more at Stars and Sticks.